1: Are you happy with how much you earned, as compared with how much you worked? Yes. 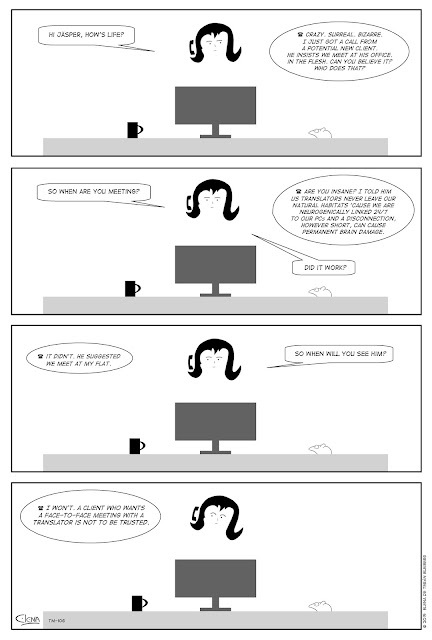 Of course, earning more is always nice, and all, but I have successfully upped my prices a little with some clients, and not one of them complained about it. So I will continue to do this step by step, not only next year, but continuously. After all, inflation isn't stopping, either, and with time, my experience and expertise is growing, as well. My pay should reflect that, too, shouldn't it? 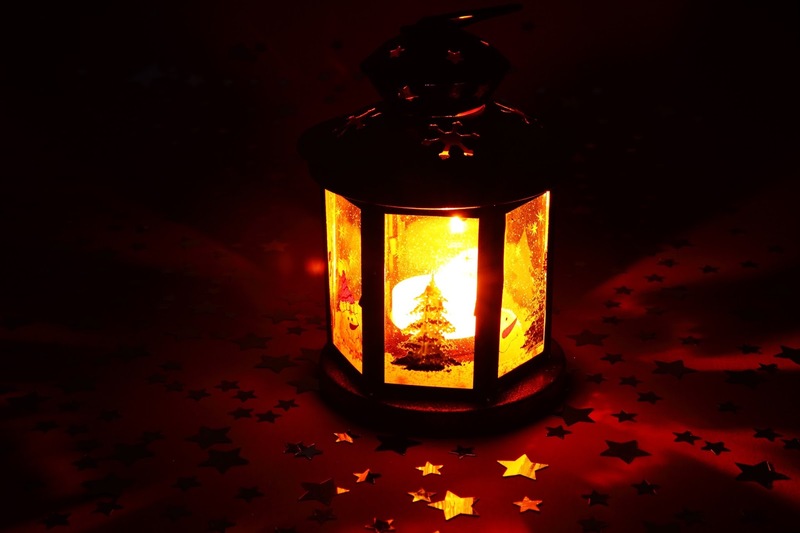 2: What were the highlights of the year? The first class of the new Fachakademie where I teach graduating was definitely one of the big ones! I also gained two new regular clients in my favorite specialty (classical music! ), plus some others, and I was able to do more interpreting - one of the things I had hoped for this year. 3: Were there any low points this year? That would be my motorcycle accident the beginning of July. Of course, I obviously had a host of guardian angels at the time, otherwise I might not be here now and doing as well as I am, but the repercussions are still reverberating through my life both physically and mentally - the summer holiday was canceled, and I really felt that lack of vacation and getting away these last weeks. So I've really been looking forward to a week of wellness and doing nothing but read over New Year's, I can tell you! 4: Did you take on some projects that challenged you? Sort of. Mostly, the challenge consisted of the time constraint and the resulting organizational juggling of work, school and private life (important!). 5: What's your long-term outlook for your business? Next year? In 10 years? I would love to do (even) more interpreting, not just next year but generally. I was able to do more this year, already, but I would love for it to reach a balance of 50% interpreting and 50% translating in the long run. This probably won't happen within a year, but the increase this past year is encouraging. The "other job" - teaching - is something I would also like to continue, I'm just not sure with how many hours per week. My job is secure, even if it officially is temporary, but my subjects are considered extra special, so they'll keep me as long as I am willing (and the school exists). This school year, I have less hours than the year before, which is fine by me. More than 12 is definitely not an option. Less than 8 is probably not worth it, though, so we'll have to see how the academic year 2016/2017 pans out. 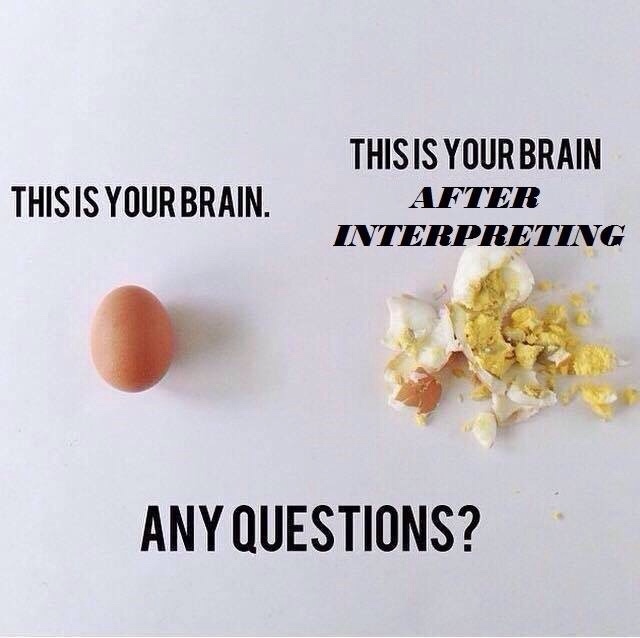 I also don't want to teach anything other than interpreting and the CAT tools, plus at-sight translation, so if the interpreting class doesn't get together next year, I'll have to see how that's going to work. But for now, I love teaching and would like to continue doing it. Looking 10 years into the future is quite far for me. I'm happy with the way things are right now and wouldn't mind it being that way then, as well (except for the interpreting, of course). So on that note, I would like to wish you all a happy new year that will turn out as you hope and then some! ;-) See you in 2016! Das wünsche ich Allen und auch mir. Klingt vielleicht etwas klischeehaft, aber ich meine es ganz ernst. Der fehlende Sommerurlaub hat sich in den letzten Wochen besonders bemerkbar gemacht, und deshalb freue ich mich umso mehr auf die Feiertage im Kreise meiner Lieben und danach auf eine Woche Wellness im Bayerischen Wald. Der PC bleibt zuhause, das Handy bleibt aus, und es gibt nur Bücher und Sauna und gutes Essen und Musik und Tanz! Mit aufgetanktem Akku kann das neue Jahr dann kommen. Und genau das wünsche ich eben Allen: Dass die Akkus wieder aufgetankt werden, Seele und Geist zur Ruhe kommen, das wirklich Wichtige wieder in den Vordergrund rückt. Sie probiert es ja immer wieder - die GEZ. 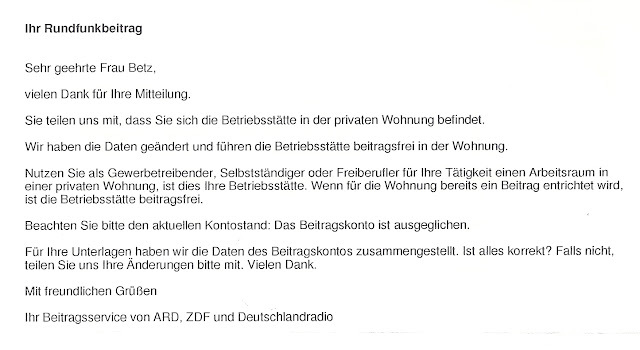 Regelmäßig bekomme ich Briefe, ob sich nicht etwas geändert hat und ich nicht vielleicht doch jetzt endlich mal Rundfunkgebühren zahlen muss. Nachdem aber immer schon jemand im Haushalt Gebühren zahlt, hatte die Angabe der entsprechenden Beitragsnummer gereicht. Bis jetzt. Dieses Jahr aber konnten sie es scheinbar nicht mehr glauben, denn plötzlich bekam ich ein Schreiben zu einer fälligen Zahlung, samt bereits vor-ausgefülltem Unterschriftenblatt für den Bankeinzug - wie praktisch?! obwohl ich bereits auf Ihrem Formular angegeben habe, dass ich keinen Beitrag zahlen muss, haben Sie mir eine Beitragsnummer zugeteilt und eine Rechnung geschickt. Ich bin freiberuflich tätig und habe meinen Arbeitsplatz zuhause in der privaten Wohnung (xxxxx). Es besteht bereits ein Konto unter der Nummer xxxxxx. Ihre Rechnung ist deshalb unrechtmäßig! Ich bitte Sie noch einmal, die mir zugeteilte Nummer wieder zu löschen. Ha! 1:0 für mich! Beharrlichkeit zahlt sich letztendlich eben doch aus, man muss nur geduldig sein. Thanks to Tina and Mouse!